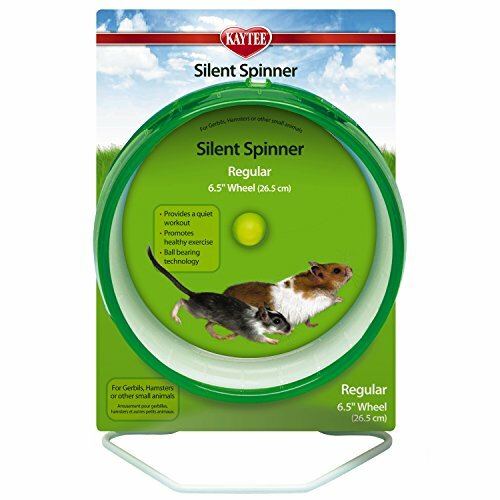 Perhaps the most popular hamster wheel on the market is this 6.5 inch Silent Spinner form Superpet. It's the perfect size for most hamsters large and small and will no doubt look the part in any hamster cage or enclosure. This hamster wheel comes in red, blue, purple and green. 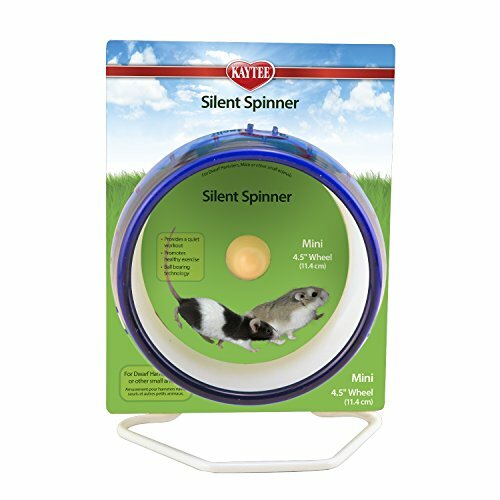 Just like the other Silent Spinners out there from Superpet - this one can be left free standing or easily attached to the side of your hamster's wire cage. The wheel is easy to dismantle if it ever needs a quick spring clean! This 6.5 inch diameter version is slightly larger than most average hamster wheels which is great. It's always best to have a wheel slightly too large for your hamster than slightly too small. This way it's safe and comfortable for your hamster. 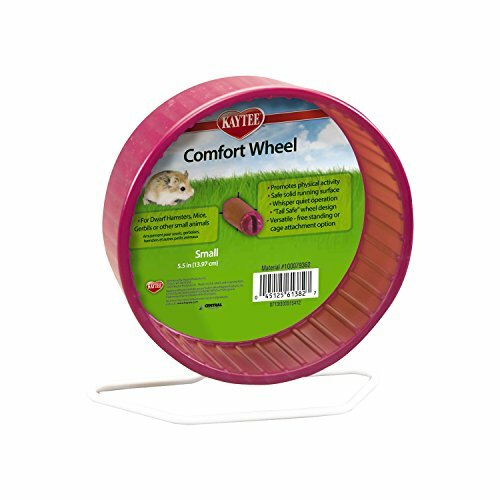 This wheel features a solid plastic running surface which helps to ensure your hamster doesn't get any toes caught up mid-rotation! 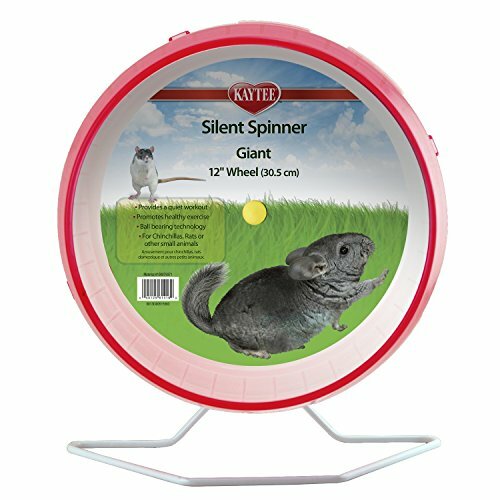 This wheel claims to be 'whisper quiet' due to it's clever ball bearing rotation technology. Remember, since hamsters are active at night, a noisy hamster wheel can easily keep you up at night! With a Silent Spinner, this shouldn't be a problem!